What is the latest issue to be published? See the cover and table of contents of the current BSJ issue. Why haven’t I received my issue yet? It can be 4-5 weeks from when the first person gets a BSJ issue until the last person receives their copy. We update this site when everyone should have their copy, so if you do not have the current BSJ issue, please contact us. Do I have to be a member of the BSI to subscribe to the BSJ? No, anyone can subscribe to the BSJ and/or buy our books. When do new subscribers get their first issue? The Spring issue usually arrives in April. If you subscribe after it goes to press, expect to get your first issues at about the same time as the next quarterly mailing. Can I subscribe in the middle of the year? Yes, you can subscribe at any time. If some issues this year have already been published, we’ll send them to you at about the same time as the next quarterly mailing. We use the same process for ordering a renewal or anew subscription. Just click the appropriate “Add to Cart” button on our BSJ Subscriptions page. Why did I get a renewal notice with my BSJ? We include the notice for everyone as a reminder to renew. If you have already renewed for the next year you can ignore it. 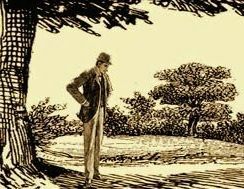 What’s in a typical issue? 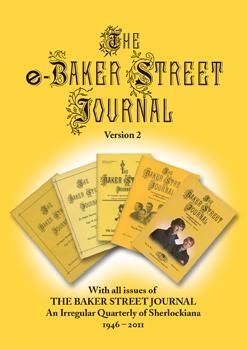 An issue of the BSJ typically includes articles on a variety of subjects, a Sherlockian cartoon, Sherlockian news, and brief reviews of various publications. Read some sample articles (web-based) or download a free BSJ issue. Your subscription will expire at the end of the year after you receive both your Winter issue and the Christmas Annual. How do I order by postal mail instead of online? For details, visit our Mail Order page and scroll down to the BSJ section. How can I get a letter or paper published in the Journal? See our BSJ Submissions page. How can I advertise in the Journal? See our Advertise in the BSJ page. Visit our Contact Us page for details.